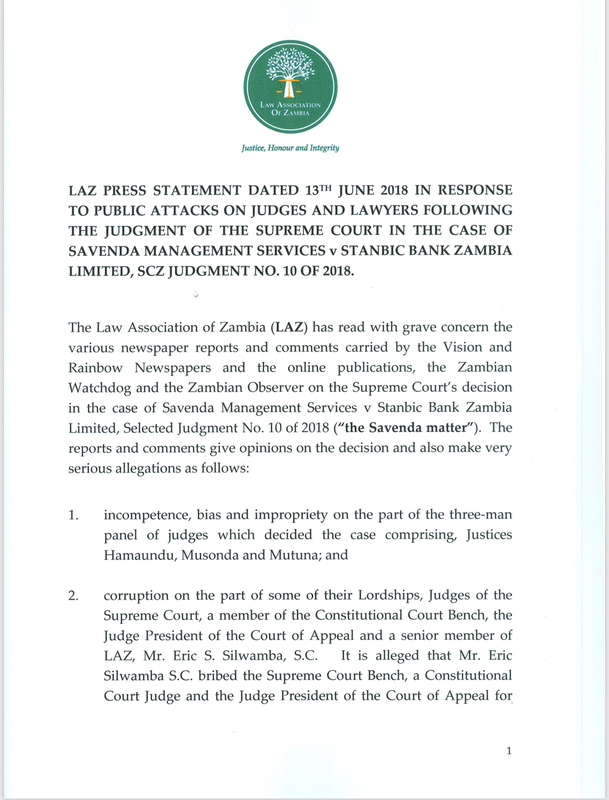 As we reported in the morning the Law Association of Zambia (LAZ) has sprung the defence of Eric Silwamba and the Supreme Court judges he bribed. 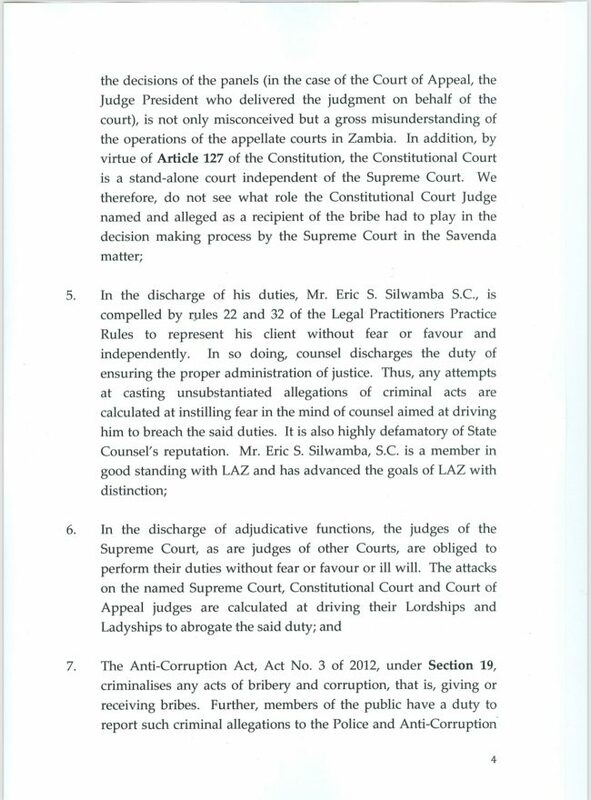 LAZ says Silwamba is in good standing with LAZ and that revelations of bribery are aimed at intimidating him and the judges. 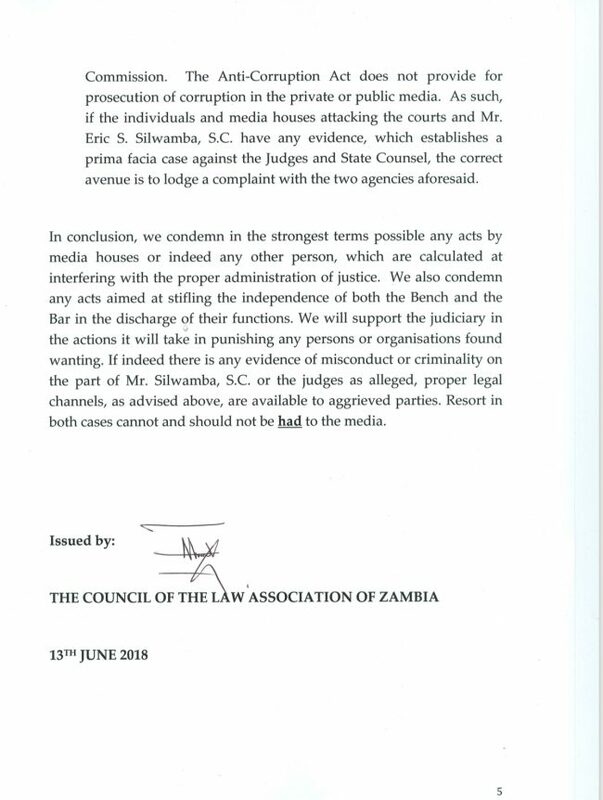 Without investigating the revelations, LAZ says the media and members of the public are circulating unsubstantiated allegations. Shamelessly, LAZ says the revelations of corruption are aimed at interfering with proper administration of Justice. How can you properly administer justice with $190, 000 US dollars waiting for you? Justice for your bank account or the victims? 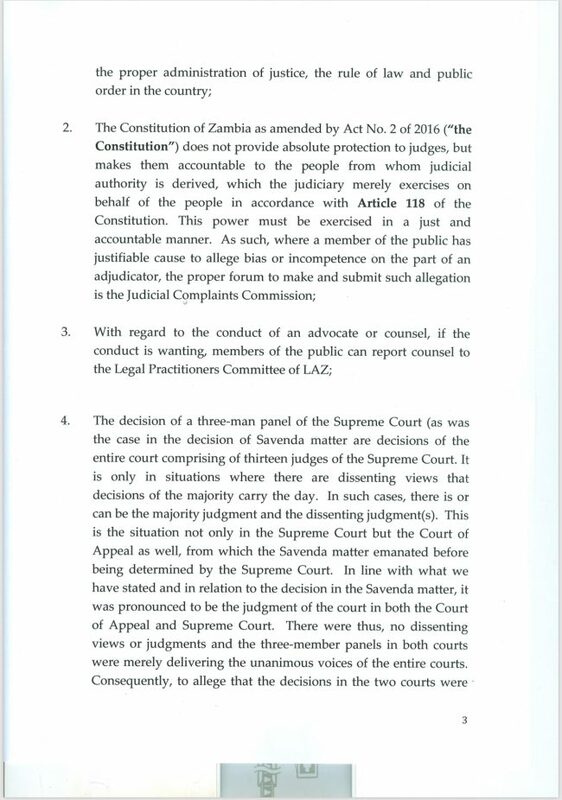 ZWD comment: the media also can not and should not be intimidated by cartels in the judiciary. We were not expecting anything sensible from the goons in charge of LAZ. These are part and parcel of plunder. It’s like asking King Mswati to condemn polygamy.